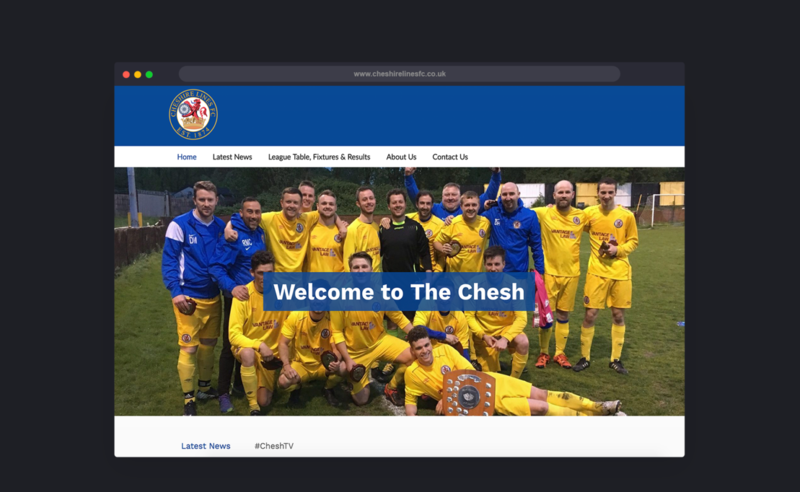 Cheshire Lines are a grassroots football club run by volunteers, who play to a high amateur standard (one level below semi-professional). Almost a victim of their own success, whilst they are expected to manage the club to a high professional standard, they don’t benefit from the income and management infrastructure of a professional club. As a part of our community outreach we have offered them the perfect solution, building a bespoke website, with social media accounts embedded in such a way that the site content remains current without the burden falling on their volunteers to constantly keep it updated. We have also designed brochures and other marketing materials which have enabled the club to approach and attract commercial sponsors and help to help keep their social media platforms fresh and attractive to fans and sponsors.